Village Gallery and Ngarru Gallery are good opportunities to explore the local culture. Step out of the city life by going to Scuba & Snorkeling and Hartley's Crocodile Adventures. Take a break from Cairns with a short trip to Safaris in Port Douglas, about 1h 30 min away. There's more to do: browse the exhibits of Underart Gallery. To see other places to visit, ratings, where to stay, and more tourist information, use the Cairns trip itinerary planning site . Dusseldorf, Germany to Cairns is an approximately 23-hour combination of train and flight. You can also fly. The time zone difference moving from Central European Time (CET) to Australian Eastern Standard Time (Queensland) (AEST) is 9 hours. Traveling from Dusseldorf in October, expect Cairns to be much warmer, temps between 34°C and 24°C. Finish your sightseeing early on the 5th (Sat) to allow enough time to travel to Alice Springs. 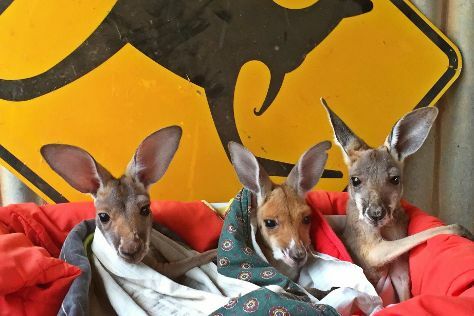 Start off your visit on the 6th (Sun): view the masterpieces at This is Aboriginal Art and then look for all kinds of wild species at The Kangaroo Sanctuary. For photos, reviews, ratings, and other tourist information, read Alice Springs trip itinerary builder site . You can fly from Cairns to Alice Springs in 4.5 hours. Other options are to drive; or take a bus. Plan for little chillier nights when traveling from Cairns in October since evenings lows in Alice Springs dip to 16°C. 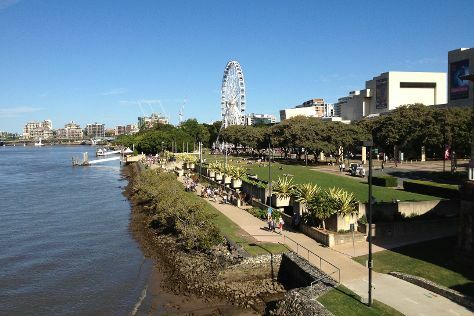 Finish your sightseeing early on the 6th (Sun) so you can travel to Brisbane. Let the collections at Queensland Art Gallery and Queensland Museum & Sciencentre capture your imagination. Do your shopping at The Henderson Gallery and Psychic Readings Twin Featherz. Next up on the itinerary: look for all kinds of wild species at Lone Pine Koala Sanctuary, walk around South Bank Parklands, and stroll through Dicky Beach. Traveling by flight from Alice Springs to Brisbane takes 5.5 hours. Alternatively, you can drive; or take a bus. Expect a bit cooler weather when traveling from Alice Springs in October: highs in Brisbane hover around 29°C, while lows dip to 19°C. Cap off your sightseeing on the 9th (Wed) early enough to travel to Sydney. Deepen your sense of the past at sights like The Rocks and St. Peter's Presbyterian Church. 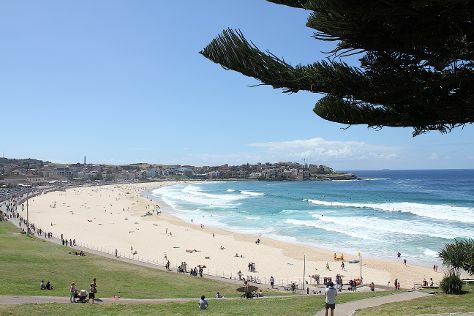 Escape the urban bustle at Bondi Beach and Manly Beach. There's still lots to do: see a show at Sydney Opera House, wander the streets of Darling Harbour, contemplate the long history of Justice & Police Museum, and see the interesting displays at Australian National Maritime Museum. To see photos, reviews, where to stay, and other tourist information, use the Sydney travel planner . Traveling by flight from Brisbane to Sydney takes 4 hours. Alternatively, you can do a combination of bus and flight; or drive. In October in Sydney, expect temperatures between 28°C during the day and 17°C at night. Wrap up your sightseeing on the 13th (Sun) to allow time to travel to Melbourne. 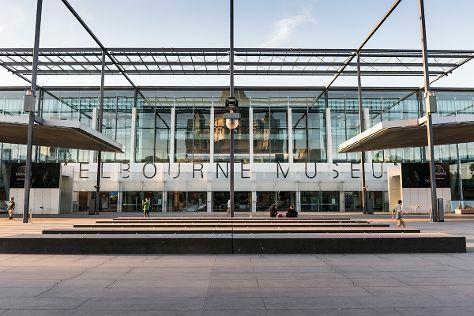 Get a sense of the local culture at Melbourne Museum and Melbourne Central. Head to FortyFiveDownstairs and Melbourne's GPO - Shopping Centrefor plenty of shopping. And it doesn't end there: explore the world behind art at National Gallery of Victoria, see the interesting displays at The Ian Potter Centre: NGV Australia, take an in-depth tour of Museum of Chinese Australian History Inc., and take in the exciting artwork at Craft Victoria. To see more things to do, where to stay, ratings, and more tourist information, go to the Melbourne day trip tool . Traveling by flight from Sydney to Melbourne takes 3.5 hours. Alternatively, you can do a combination of flight and shuttle; or drive. In October, Melbourne is a bit cooler than Sydney - with highs of 24°C and lows of 9°C. Wrap up your sightseeing on the 18th (Fri) early enough to drive to Lorne. Lorne is a seaside town on Louttit Bay in Victoria, Australia. Kick off your visit on the 19th (Sat): take a peaceful walk through Lorne Beach. To see reviews, more things to do, ratings, and tourist information, you can read our Lorne travel route tool . You can drive from Melbourne to Lorne in 2 hours. Alternatively, you can do a combination of train and bus; or take a bus. 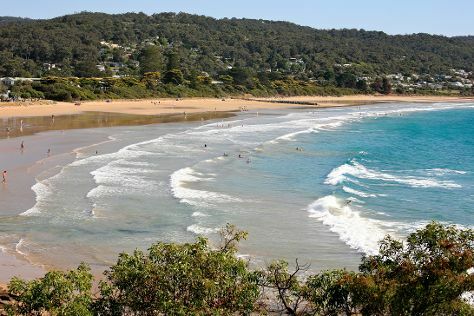 In October in Lorne, expect temperatures between 24°C during the day and 8°C at night. Finish up your sightseeing early on the 19th (Sat) so you can travel to Warrnambool. Warrnambool is a regional centre and former port city on the south-western coast of Victoria, Australia. 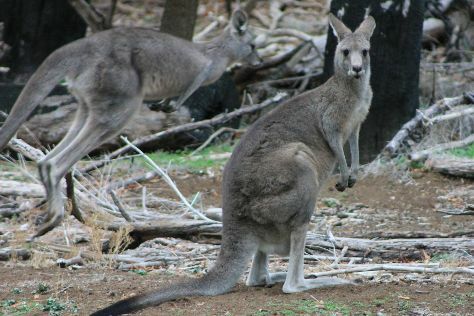 Start off your visit on the 20th (Sun): examine the collection at Allansford Cheese World and Museum, stroll through Logan's Beach, then see the interesting displays at Flagstaff Hill Maritime Village, and finally look for all kinds of wild species at Tower Hill Wildlife Reserve. To find traveler tips, maps, where to stay, and tourist information, go to the Warrnambool route planning tool . You can do a combination of taxi and train from Lorne to Warrnambool in 2.5 hours. Other options are to drive; or take a bus. Wrap up your sightseeing on the 20th (Sun) to allow time to travel to Adelaide. 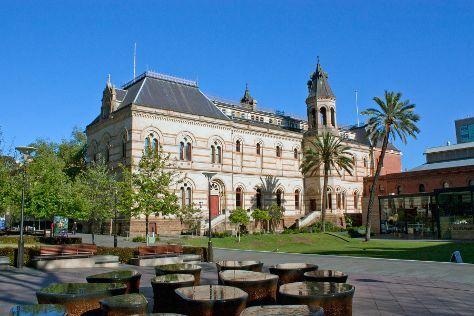 Do some cultural sightseeing at South Australian Museum and Art Gallery of South Australia. Shop till you drop at ASSP Gallery Shop and Hans Heysen Art Studio. Explore the numerous day-trip ideas around Adelaide: Hahndorf (Hahndorf Fruit and Veg Market, The Aboriginal Art House, & more) and Vineyard Road Cellar Door (in Belvidere). There's much more to do: take an in-depth tour of Migration Museum, view the masterpieces at Jackalope Studio Gallery, explore the galleries of JamFactory, and browse the eclectic array of goods at Adelaide Central Market. To see photos, ratings, more things to do, and more tourist information, read Adelaide trip builder site . Traveling by combination of bus and flight from Warrnambool to Adelaide takes 7 hours. Alternatively, you can drive; or do a combination of train and flight. In October, daily temperatures in Adelaide can reach 26°C, while at night they dip to 13°C. Finish your sightseeing early on the 23rd (Wed) so you can travel back home.